Henry Obersi Jr. (“Juni”) lost his 3-year old daughter to leukemia and suffered through 2 divorces. His father committed suicide at 47. “It’s all good, it’s not sad. You have to be positive, (…) every day you have to look forward, never back. You have to see the positive aspects of everything. My daughter, Antonella, is in heaven. I will see her there again. She is paving the way for us.” Source: Living the good life. Obersi skips around Santa Cruz Beach as if he’s the luckiest guy on earth, he operates the restaurant his father used to own, serving seafood on a patio deck overlooking the remote west side of Curacao. He uses a fishing boat to take visitors on tours of the secluded area for only $20. The Black Beach, Blue Room, Love Beach are some of his favorites. 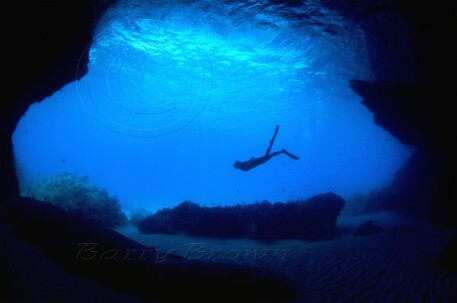 The Blue Room is a sea cave, snorkelers can reach by swimming 3 feet under a coral and limestone rockface. Obersi’s dream is to create an eco-resort on Santa Cruz Beach. Juni sank his father’s freight 20 years ago. Considered a crime at the time, he fled to Bonaire until the uproar died down. Now snorkelers can visit the boat, see the coral and sea life that has sprouted around it. Snorkelers can also see the underwater pyramid where Juni buried the cremated ashes of his daughter. Love Beach is a tiny sandbar around the corner from Santa Cruz. Juni takes couples, gives them some champagne, leaves them alone for a few hours, then picks them up… it’s a very popular tour.